Home Blog It Rarely Happens! A New Tool for Risk Managment Has Arrived! It’s time to rethink! Should we continue to use and rely mainly on heat maps, bar graphs and pie charts to represent risk! Why you might ask? Well let me tell you, it’s because we have a better tool to use then all of the previously mentioned. All of the aforementioned tools are borrowed one way or another from different disciplines, however with Split tree visualiser we have a tool that was designed and created solely for risk representation. 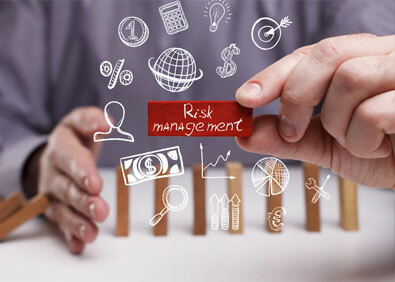 Isn’t it time to enhance your risk management solutions with vibrant and colorful tools? Not only colorful but meaningful too. That is what you will witness with this new invention. So let me share my enthusiasm and excitement, a new visual tool has arrived! So please read on. 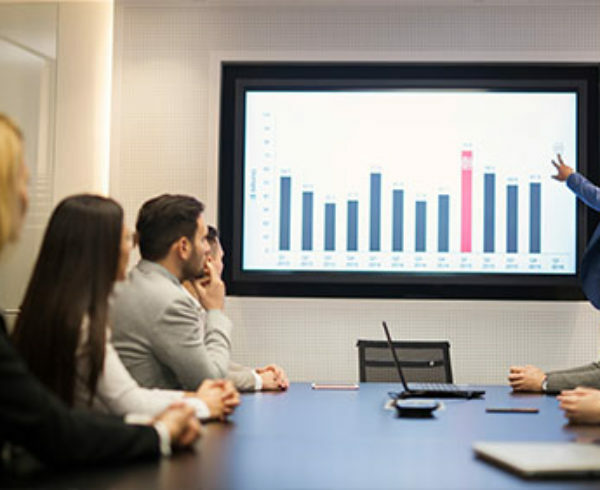 The idea of split tree visualiser stems from the notion that risk can be represented in numerous ways, the problem however is that some of those ways are effective, yet confusing. While others are simple to understand, yet lack a comprehensive representation of the risk and its features. Split tree visualiser overcomes this problem by being simple and easy to understand whilst also being thorough and detailed enough. Finding the right balance of simplicity and comprehensiveness is no easy feat, in fact it’s revolutionary. 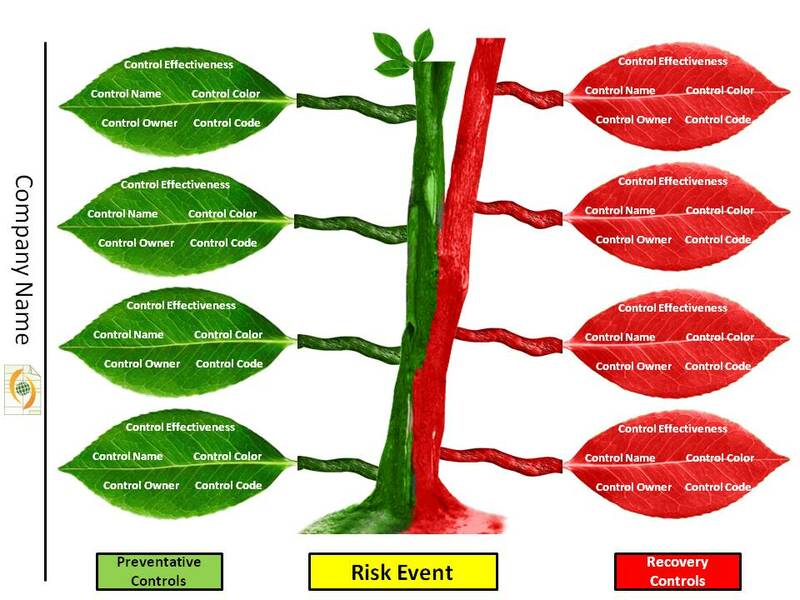 Split Tree Risk Visualiser presents an organizational risk as a healthy tree (symbolism of an asset) with preventative controls colored green and placed on the left hand side. Whilst the red colored recovery controls are placed on the right hand side of the tree (please see below). This simple yet elegant representation of risk and its associated elements give a simple, visually pleasing and detailed view of risk in an organization. To see how this tool can help enhance your risk management solutions, please contact CorProfit.